Christine's exciting and deserving win! 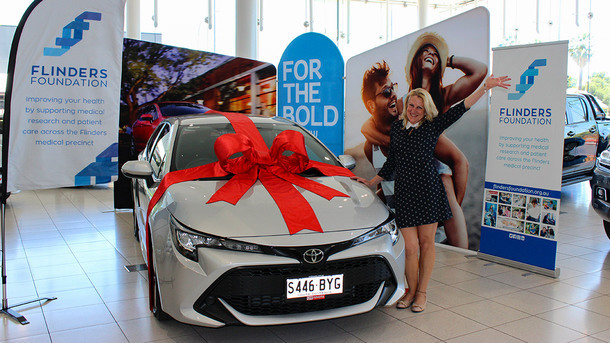 Recently the CMI Toyota team had the pleasure of presenting the 1st prize winner of the Flinders Foundation Pink Yellow Blue Ball Car Lottery, Christine, with her stunning prize - a Toyota Corolla Ascent Sport hatch! Christine has worked at the Flinders Medical Centre for 20 years and is currently the Acting Nurse Unit Manager of the High Dependency Unit. During her exciting delivery, we learnt that Christine was one of the last people to purchase her ticket as the final day of ticket sales was on her next payday. Christine believed the ticket purchase to be more of a donation to the foundation as she never expected to win anything, so when she received the call with the exciting news she was extremely shocked and thrilled! Christine had such little expectations of winning that she hadn't even told her husband she had purchased a ticket! Congratulations again Christine! It was our absolute pleasure to meet you and your positive outlook and desire to help such a worthy organisation without expectation is truly admirable. 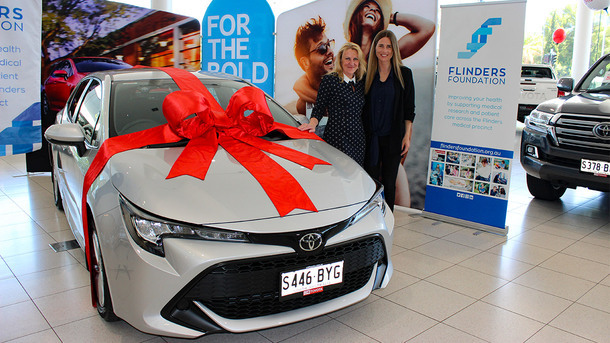 CMI Toyota are proud to support local South Australian charities such as the Flinders Foundation and their life-changing fundraising efforts. The Pink Yellow Blue Ball Car lottery raises vital funds for cancer research, prevention and care at the Flinders Centre for Innovation in Cancer.